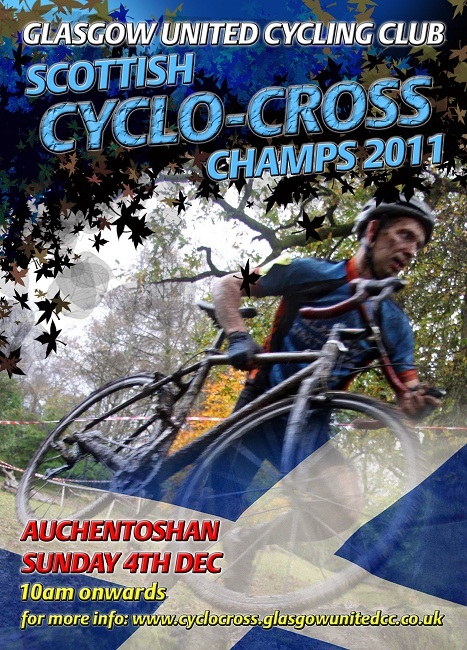 Still time to enter the Scottish Cycling Cyclocross Championships at Auchentoshan, Clydebank on Sunday 4th December. Entries close at midnight tonight and you can enter online here. Eligibility requirements can be found here. Remember that there is no entry on the line for the championships, if you haven't pre-entered or if you don't meet the eligibility requirements then you can't race. Just added a Full Racing License to my BC membership, the cost was £16 as it's only valid for 2011. 'Youth male and female combined' Is that no regognition or medals for the youth girls then? Unless the top ten youth boys dnf!! You can separate the two next year when you're organising the event. Last year the U12's were split U8, U10 and U12, all of whom received Winners Cups which were to be handed back for this years champs, are you doing the same this year? Callum has his cup for return but I' not sure who the U12 and U10 Winners were last year. 18.8.1 The SCU shall recognise National Cyclo Cross Championships for individual seniors, juniors, youth A, youth U14, and youth U12, veterans over 40, over 50 and over 60 and women. We'll look at whether we need to ask to change this rule when we review the 2011 season. It is a total nonsense putting the youth and U12 boys and girls in the same groups. The sport should be doing everything it can to encourage the youngsters and this just looks to be counter to that. Perhaps Scottish Cyclocross could rustle up some medals for the youth girls this time? It's perhaps not ideal, but the only thing I can see that's a total nonsense is sniping anonymously at the people who give up their time so your kids have a race to go to. It looks to me as though the anonymous post above is suggesting that rule 18.8.1 of the SCU is nonsense rather than sniping at the organisers. From what I've seen so far all the parents and participants are very grateful for the fantastic events being put on in the series and appreciate how much work goes into in. It would be good if some kind of award were made to the top girls even if it isn't possible to have SCU medals this year but appreciate that it's pretty late in the day to make changes. I think most people would support asking for a change of the rules in the future so that all Youth and Junior girls age groups have separate medals. The regulations get updated from time to time. I think unfortunately the regs have not kept pace with developments on the ground - the explosion of youth riders now competing. This is mirrored across the UK and in all the cycling disciplines. However, as I have stated elsewhere there is now a way to get things changed but it needs action rather than words. 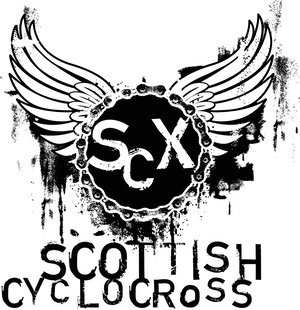 Anonymous, get your club or SCX to lobby Scottish Cycling for a change with a good rationale and things may happen. This issue is not new and has come up before with nothing getting done. The following year the whinging starts again. You might not agree with me but as with BC, cross is not on the top of the SC radar. At least in Scotland we have an U12 Championship which is not the case at National (British) level. BC do though have medals for U16/U14 boys and girls. As David Hamill has said, let's get behind the organisers of the Championship and make the event a great success. Are you organising an event next year anonymous?